On the outside, you’re laughing, but on the inside, you’re panicking. Its dinner time at your house, and your child is telling a funny story about the time the whole family went to the zoo. Their young mind seems to recall every detail, but you can’t seem to remember a thing. Why can’t you recall this? You remember having fun that day, but the details are fuzzy and distant. 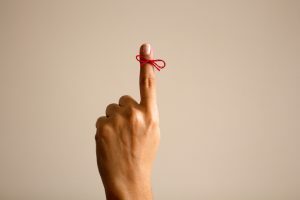 You might think this is because you’re getting older, but it might actually be connected to your sleep apnea in Plano. It not only can affect your sleep, but your memory as well. Memory is a very important tool for people. It not only enables you to learn about the world around you, but also helps you establish connections with the people that matter most. The feeling of looking at your child the first time, or the sound of their laughter all stick in your mind for a reason. In fact, your brain tends to prioritize your most important memories. What makes them important? It’s you, actually. The memories you care about tend to last much longer. This is why you can easily remember your child’s favorite food, color, movie, and shirt, but couldn’t recall a single detail of what happened on your commute into work. Unfortunately, sleep apnea can make it much more difficult for you to retain these memories. Your memory is built out of connections between the neurons in your brain. Whenever you learn something new or have an experience that matters to you, a new connection is made. Quality sleep is an important part of building and maintaining these connections. Studies have shown that when someone is sleep deprived (such as with sleep apnea) fewer of these connections are made. This makes it more difficult for you to both maintain memories and form new ones. As a result, learning new things can be very problematic, and it can be harder to recall those special moments you’d never want to forget. Of course, one of the best ways to get the sleep you need is to treat your sleep apnea. 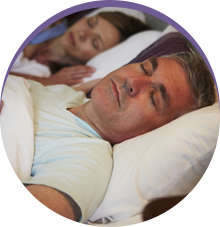 Sleep Rehab near Plano can help you through the entire process, both diagnosing and treating your sleep apnea. 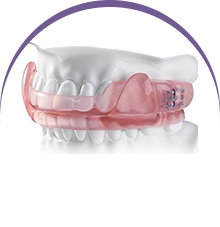 After a convenient sleep test you can take at home, Dr. Keane Fedosky can start you on oral appliance therapy. This will involve you wearing a small device similar to a mouthguard whenever you go to sleep. It would help alleviate your sleep apnea symptoms by gently shifting your jaw to prevent your airway from becoming blocked throughout the night. This will help you get the valuable sleep that your brain needs to form and keep those memories that are most precious to you. Your memory matters, and one of the biggest contributing factors to having a strong one is getting quality sleep over a long period of time. 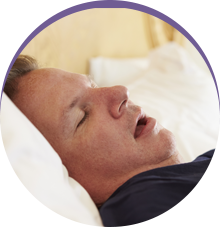 If you have sleep apnea, this can be extremely difficult, but fortunately, you can now get it treated with relative ease at Sleep Rehab with Dr. Fedosky. If you’d like to know more about how treating your sleep apnea could improve your memory, please give us a call today.